I am always hesitant to talk about abortion because it is a topic about which few people can talk calmly and reasonably, and it is calm, reasonable discussion on big topics that we celebrate here on this blog. It seems to be a topic on which it is difficult to get any information without some kind of spin, any story without having it put into place as part of a larger, politicized narrative. It tends to make people ignore whatever the particular message about it is and instead begin immediately screaming at each other, fighting the same battles over language, rights, politics, and beliefs that have been fought over and over and over again. Yet I couldn't help but be struck by the similarities, and the stark contrast, between two stories I read recently. First, there is Tamara Mann, a Jewish woman in the United States. 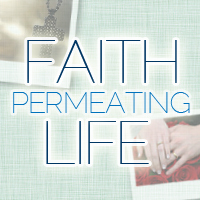 She was told that her baby was forming in such a way that it would not live much longer. Originally she was holding out for a miracle, but then her doctor told her that the fetus was "not compatible with life," would not survive, and would cause greater risks to her health the longer she waited for the fetus to be taken out of her body. Because it still had a heartbeat, however, the state considered her to be having a voluntary abortion, though, as it turned out, the baby's heartbeat had stopped before the procedure began. Second, there is Savita Halappanavar, a Hindu woman in Ireland. She was admitted to the hospital in pain at 17 weeks pregnant and found to be having a miscarriage. Savita asked if, since the baby was dying, labor could be induced so she would stop being in pain. She was told that because the fetus still had a heartbeat, it could not be removed. Irish law and legal precedent only allows termination of a pregnancy if there is a "real and substantial risk" to the life of the mother, and evidently the doctors did not consider there to be enough risk to her life. Savita began developing shakes, shivering, and vomiting, but was still told that the fetus could not be removed. Three days after she was admitted, after the baby's heartbeat had finally stopped, it could be surgically removed. Savita died shortly thereafter from a form of blood poisoning and an E.coli infection. Her death has sparked protests against Ireland's abortion laws. Whether she would have lived, had the pregnancy been terminated upon her arrival to the hospital, is being hotly debated between pro-life and pro-choice groups. There are a lot of similarities between the two stories. Both woman were married and wanted children; they were requesting to end their pregnancies not because their pregnancies were unwanted, but because they had been told that their babies were not going to survive, at which point they feared for their own health. In both cases they were told that the fetus, even if it would not survive much longer, was considered alive so long as it had a heartbeat; both babies were eventually removed from their mother's wombs after their heartbeats had stopped. Both women ran up against a system that wanted to stop them from getting an abortion: Tamara had to fight for her insurance company to cover the procedure, even though her doctor had told her it was the best option for her own personal health and safety, and then the state required her to sign a consent form because her abortion was considered an elective or voluntary one. Savita was denied the abortion until the baby's heartbeat stopped because an act passed in 1861 in Ireland meant that a doctor could potentially fact life imprisonment for performing an abortion that he or she could not prove was absolutely necessary to save Savita's life. In both cases the laws that hindered or stopped them from getting an abortion were based on religious tenets to which the woman did not personally ascribe. 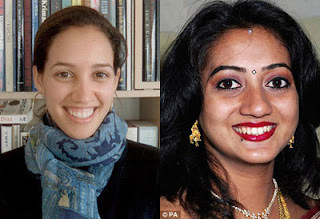 The stark contrast, of course, comes in the eventual fate of each woman: Tamara, who lived to tell her own story, and Savita, who died and whose story is now being fought over by other people. I've shared my thoughts before on why I don't think laws are the best course of action for reducing the number of abortions. These stories are, for me, another reason why debates about abortion should not be reduced to legal language or statistics. People's lives, and their decisions, are never simple, are never black-and-white. When we base our arguments on stereotypes or technicalities or even what we consider fundamental truths about life, we risk losing sight of the living, breathing people whose pregnancies, whose children, we are arguing about. At their cores, I believe that the pro-life movement is not about dismissing women's health but about deeply loving the unborn, and I believe that the pro-choice movement is not about hating children but about caring deeply about women. And I think it's important for everyone who wants to talk about this issue to stay grounded in that love and compassion from which their own position stems. In particular, I think there's something wrong if you hear Savita's story and your first thought is either "This is why we need to change abortion laws" or "There is no medical evidence that an abortion would have saved her life." Would not a person grounded in love and compassion think first about Savita, lying in a hospital bed, in pain, grieving that her first child will not live, fearful of what will happen to her body, and feeling trapped by laws made by someone else's religion? What good can come out of forgetting her humanness and immediately reducing her to an argument or a statistic? The reason why the abortion debate matters is because it's about real people. Let's not forget those real people in our rush to be right. One thing that needs to be pointed out about Savita's case is that there was nothing in either Irish law or even Catholic teaching that would have prevented the termination. The case is still under investigation, but it appears to be case of gross medical malpractice. And yes, doctors have a responsibility to know their own ethical guidelines. That being said, abortion politics did kill Savita. The adversarial nature of politics has turned abortion an adversarial issue between mother and child. And this adversarial positioning applies to BOTH sides. I'm pro-life, but at the same time, I realize that the law is a very crude, blunt instrument for a very delicate matter. It's time for a new approach from all sides. Definitely agree that we've developed a kind of mother vs. child mindset, where you get a label depending on which side you choose. It's not a productive or loving way of approaching such a difficult topic. Re: the article you posted, it seemed to confirm what I had written (Irish law only allows termination of a pregnancy if there is a "real and substantial risk to the life of the mother," and evidently the doctors did not consider there to be enough risk to her life.). Were you reiterating that, or did it seem something I wrote was inaccurate? "The decision to induce labour early would be fully in compliance with the law and the current guidelines set out for doctors by the Irish Medical Council. Those guidelines allow interventions to treat women where necessary, even if that treatment indirectly results in the death to the baby." It seems like there is disagreement on what would be the best course of action in the case. But, if the doctors did not recognize the risk to Savita's life, this is classic medical malpractice. I think everyone agrees that something was not done right, though that ranges from "she should have gotten an abortion immediately" to "antibiotics would have cured her infection without needing to touch the baby." But it's easy to play Monday-morning quarterback, or doctor, as it were. I think the point many people are trying to make is that this was not just an isolated case of one doctor making a bad decision, but that bad decisions like this are more likely when abortion is highly politicized and you're in a country with strong anti-abortion laws and the doctor has strong ethical feelings about abortion. In that context, it shouldn't surprise anyone that the hospital staff erred on the side of waiting as long as possible -- until the heartbeat had stopped -- to get the dead baby out of her body. In Ireland allowing abortion in any case isn't technically part of legislation. Twenty years ago a judge ruled that if there was a real threat to the mother's life termination is allowed, but no government has ever actually put it into a law. This makes for a very grey area in law. That being said however, I'm sure the doctor would not have been 'punished' for saving the woman's life. And what I find most appaling was the comment made that 'Ireland is a catholic country'. Like being catholic means that her life is less important. She was having a miscarriage, and the doctor just assumed it would stop after a few hours, as usually happens, but she was unlucky and it kept going for three days. I'm assuming the doctor preferred to wait it out to either avoid inquiries or because of his own moral ideas on abortion. The risk of blood poisoning was way too high, so this is indeed serious malpractice in my opinion. I'm glad so many Irish people are hitting the streets to request more clarity in the law in such cases, so that this doesn't happen again. I'm sure both pro-life and pro-choice people are for saving the mother's life even if her treatment terminates her pregnancy. This isn't 1812, she shouldn't have been left there suffering in her hospital bed with her husband watching, nobody willing to save her life.. It's not about allowing abortion in general. Women shouldn't have to be afraid that if something goes terribly wrong they won't be helped because they're pregnant. Twenty years ago a judge ruled that if there was a real threat to the mother's life termination is allowed, but no government has ever actually put it into a law. This makes for a very grey area in law. Can you share a source for this? I've seen a bajillion articles flying around about this situation and nobody seems to have fully complete information. I'm sure both pro-life and pro-choice people are for saving the mother's life even if her treatment terminates her pregnancy. Well... most of them, anyway. There are some people who truly believe that if a fetus is not viable outside the womb, it should stay in the mother as long as it's still alive, and the mother should be treated only in ways that don't endanger the life of the "innocent." I think it's these kinds of people who make "pro-lifers" look extreme and out-of-touch to those who don't identify as such. The ruling was called the X case, you can read the background story here http://en.wikipedia.org/wiki/Attorney_General_v._X . As you can see the ruling was made in 1992, and five governments since then have totally avoided the subject, in spite of urgings of the EU to have it put into legislation. They're just afraid to touch the subject at all. Let's hope they're going to make some changes now. And I guess there's always extreme people who can't see reason at all. Pregnancy is scary enough as it is, we don't need women afraid that if something goes wrong they'll be forced to die with their baby. Two deaths can't be better than one. Thanks for the link, which led me to read more about the history of abortion law in Ireland. I also updated the post to clarify that the quote was based on legal precedent rather than law. It really does sound like it's a murky area of the law, but that the general consensus is something like "no abortion ever, except in very very rare cases." Given both the inflexibility of the law on the books and the lack of clarity about what exceptions are legal, it's no wonder that a doctor would choose to err on the side of leaving the fetus inside the mother and hoping she recovered. "At their cores, I believe that the pro-life movement is not about dismissing women's health but about deeply loving the unborn, and I believe that the pro-choice movement is not about hating children but about caring deeply about women. And I think it's important for everyone who wants to talk about this issue to stay grounded in that love and compassion from which their own position stems." Just... everything, love. I hate that I don't have anything else to say about that, but it's true. I wish we all could keep this in mind more when discussing this issue. Truly. Discussions around abortion are so emotional and so polarized that I think people on both sides forget that they agree on most things and are driven by the same core value of love for others. I have only one comment to add, which would be that the pro-life movement is also very concerned about the well-being of women. Having worked so extensively in the movement, there are those who would seek to discredit the pro-life movement that would spread lies about the concern of pro-lifers for women, aka "You only care about the baby, and you don't care about them once they are born." I don't have anything else to say about the story itself, and I know the point you were making, but I felt I had to state that. As a pro-life advocate, I don't believe Tamara and Savita to have done anything wrong given the dire circumstances. I still believe Ireland's pro-life law to be the correct law, and I am puzzled as to why the doctor didn't see this as "real and substantial risk".